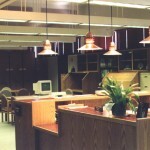 The third phase of building designed by our firm at the Sheridan Library was the enlargement of the Wyoming Room. We were asked to create a state-of-the-art facility for the rapidly growing collection of western history and genealogical records. 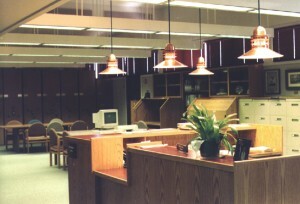 Archival preservation and access to sometimes rare historic documents require unique design considerations. A sophisticated fire detection system circumvents the need for a sprinkler system. The security system is five-fold. Numerous special treatments ensure that rare books will have consistent humidity and temperature and be safe from atmospheric irritants. 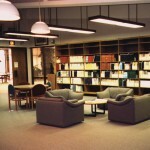 The Wyoming Room is an attractive addition to the large and gracious library, a great source of community pride which is emulated throughout the region.